When an individual passes away, attention turns to the disposition of the decedent’s assets. 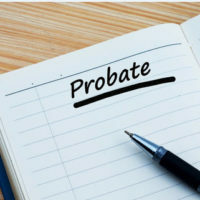 As part of this process, which occurs as part of the probate process, a personal representative is appointed to dispose of the assets of the decedent’s estate. In most cases, the personal representative will act according to the parameters set forth by the decedent in his/her will. If the individual dies without a will, then the personal representative will distribute the assets according to the State’s intestacy laws. In some cases, however, a personal representative may attempt to sell assets of the estate, potentially depriving a devisee of his/her inheritance. 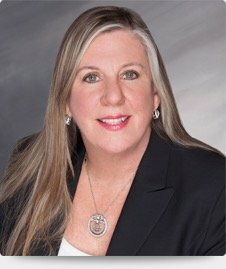 To ensure that the personal representative remains in the compliance with the law, and does not sell an asset outside the scope of his/her authority, it is crucial to retain the services of an experienced probate and estate attorney. Florida law makes it clear that a personal representative has the ability to dispose of the estate assets of a decedent by selling them. In other words, the personal representative has the power to sell assets. It does not matter that an heir or beneficiary may expect to inherit a specific asset, unless a specific devise was set forth in the decedent’s will. However, the personal representative does not have complete autonomy to sell such assets. There are some instances when the law requires the estate’s personal representative to get a court order before a property in probate administration can be sold. When it comes to personal property, a probate court will usually defer to the personal representative’s decision. That is, assuming the personal representative is acting reasonably for the benefit of the interested persons, the probate court will typically defer to his/her decision to sell, mortgage, or lease any personal property of the estate or to obtain any interest in exchange for it. For real property (i.e., land), though, a personal representative may need a court order to pass title to real estate. Specifically, if either of the following situations applies, court permission is necessary – when the decedent has died intestate (i.e., without a will), or when the will fails to give the personal representative the express and specific power to sell the real estate. If court approval is required, the court will typically oversee the terms and conditions of the sale. Creditors and other beneficiaries must be given advance notice of the sale, and some probate judges may require the asset to be appraised before it can be sold. Additionally, although not legally required, it is prudent for a personal representative to obtain a court order to sell a decedent’s assets, regardless of circumstances, if the personal representative’s actions are likely to be challenged by an heir or beneficiary. Thus, it is good practice for the personal representative to obtain court permission, preemptively, for the sale of any asset if there is any question regarding the reasonableness of selling the assets of an estate. This can help to protect the personal representative from a claim by other beneficiaries or creditors that the sale of the asset was unnecessary or for less than market value. If you are involved in settling an estate, and have questions about your authority, seek the counsel of an experienced Florida probate lawyer to ascertain whether the sale can occur, and the consequences of failing to follow the rules in this area. Personal representatives do have the power to sell estate assets, but this power is not absolute. The team at the office of Joyce A. Julian, P.A. advises personal representatives on how best to execute this responsibility within the bounds of the law, and are available to take you call. Contact the Fort Lauderdale divorce firm at (954) 467-6656 for a free consultation.